Why do chronic inflammatory diseases (CIDs) such as rheumatoid arthritis (RA) or systemic lupus erythematosus affect the whole body and produce myriad debilitating and disabling symptoms that make people sick? Is this clinical pattern of systemic involvement an unfortunate byproduct of sustained inflammation or, in an unexpected way, is it an adaptive program positively selected during evolution? This article reviews recent research on the impact of inflammation on energy homeostasis in the organism and advances the hypothesis that the systemic sequelae of CID result from prolonged energy requirements of an activated immune system and are inherent in disease pathogenesis. 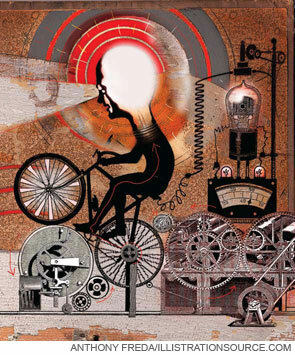 To integrate emerging data from studies in metabolism, neuroendocrinology, and immunology, I propose a new model to explain sometimes baffling symptomatology and to find a common denominator of systemic disease sequelae in CIDs. 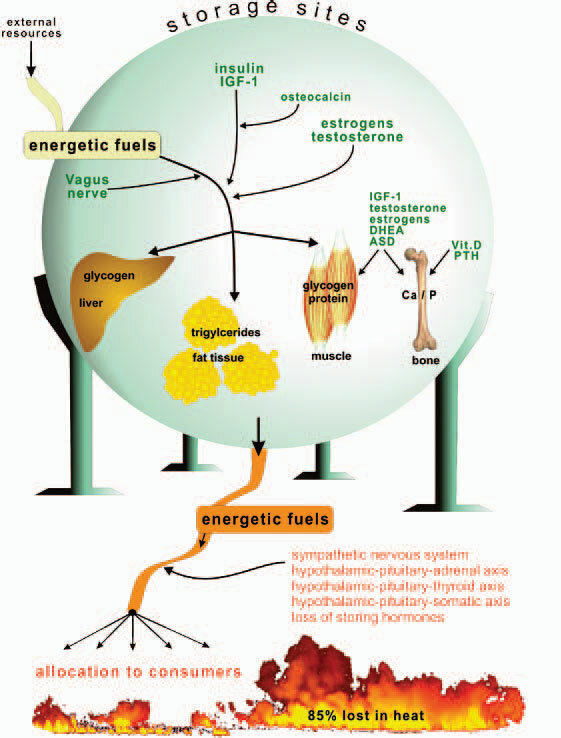 Figure 1: Neuroendocrine mechanisms of energy storage and energy provision. 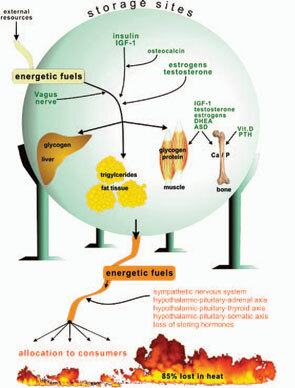 Energy-rich fuels are taken up into the body and are stored in liver, fat tissue, and muscle. Bone stores calcium and phosphorus. The respective hormones are indicated in green. Energetic fuels are released from stores by hormonal axes in red text below the storage bowl. In the case of an activated immune system, energy-rich fuels are redirected to the immune system. ASD=androstenedione; Ca=calcium; DHEA=dehydroepiandrosterone; IGF-1=insulin-like growth factor; P=phosphorus; PTH=parathyroid hormone; Vit. D=vitamin D.
Storage of energy is maximal when resources from the food supply are available ad libitum and energy consumers such as brain, muscles, and others are minimally active. Note that the central nervous system, muscles, and the immune system are the major energy consumers in the body, with each utilizing approximately 2,000–2,500 kJ/day.